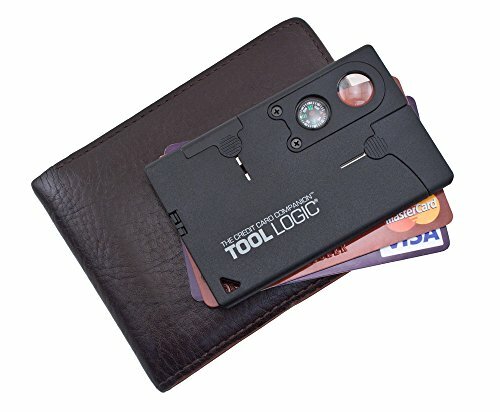 Credit Card Toolkit - Moar Stuff - You don't need it but you know you want it. $14.99 $23.50	Get Your Stuff! Please remove the knife from the tool for compass to work as the metal can interfere with the compass. Removable blade, tweezers, toothpick and opener. Please remove the knife from the tool for compass to work as the metal can interfere with the compass. 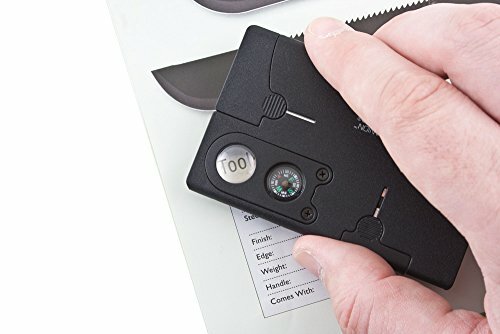 I always carry my SOG Credit Card Toolkit because I just don’t know when I’ll need it. That’s because, as the saying goes, stuff happens and when it does you have two choices… You can either cry and whine like a little girl or you can take out your credit card toolkit and fix it like a man!!! Look, I’m not saying this thing will save your life in the event of a car wreck, plane wreck, or alien invasion but, it COULD. For example, in the alien invasion scenario, you could use it stab an alien, take its blaster, kill the rest of the aliens, save the girl/guy, take her/him home (with the built-in compass), and open some beers (with the built-in bottle opener) to celebrate with a very grateful him/her. 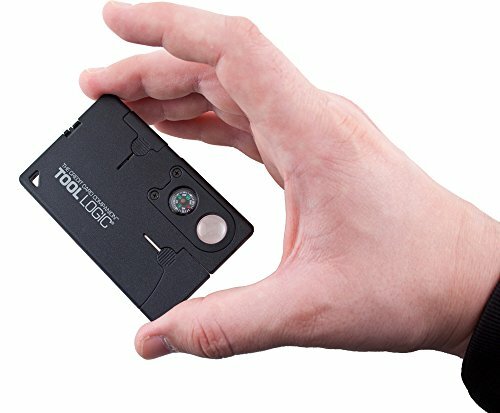 Oh sure, an alien invasion is not very likely to happen but, are you going to miss out on your chance for all that glory, simply because you can’t possibly carry something as small as a credit card in your wallet? Dimensions: 2.125 x 3.375 inches. 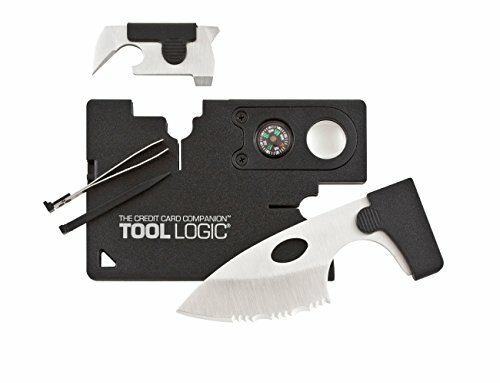 Tools Included: Bottle opener, can opener, 2-inch serrated blade, 8x power lens, compass, ruler, toothpick, and tweezers.